In every country there are places that not only local citizens have to visit, but simply put, every human being has to do so. Most of the time stopovers during such trips are capital cities, the biggest agglomerations, most tourist-attractive sites or places well-known for entertainment they provide. However, there are also places to which it is important to go in order to experience an influential lesson and understand the suffering and nonsense of war. Certainly, one of such places is Auschwitz – a Nazi concentration camp built by Nazis on the land of our country. Surely, it is a place that negatively impresses everyone and at the same time unsettles and makes its visitors reflect upon whether human beings can be so cruel. Ensemble of concentration and extermination camps in Auschwitz, standing for Polish Oświęcim is the biggest object of such kind in the world. It is where during the Second World War the Holocaust happened with the very complex being situated in aforementioned Oświęcim and which was divided into two camps – KL Auschwitz and KL Birkenau (Auschwitz II). Currently, this place is one of many symbols of terror and is visited by millions of tourists from around the world on the yearly basis. It is here, where over a million of people were killed, in fact countless number of Jews, Polish, Romani and other nationalities were tortured with hard work, medical experiments, diseases and murdered in gas chambers. An object enlisted on UNESCO World Heritage List is worthy of visiting – convenient location from which one can start a journey is Cracow, but Oświęcim can be reached easily from others regions of Poland and nearby cities. 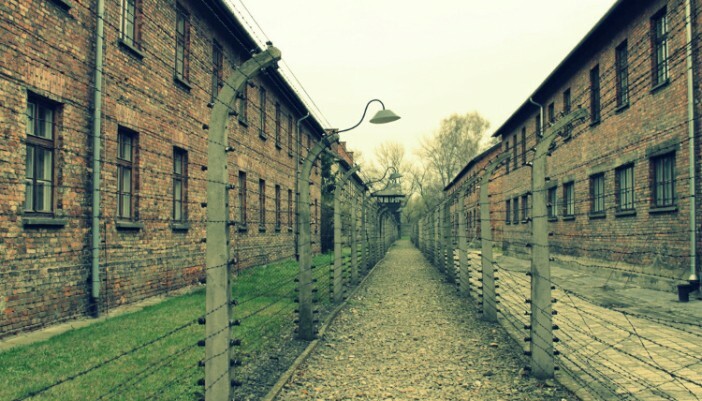 A trip to Auschwitz allows the visitors to see the ruins of the past camp, exhibitions with numerous original showpieces and even preserved records that granted us knowledge how the prisoners were held, treated and tortured and how their day looked like. Tour guides are immensely helpful and willingly share various interesting stories and that helps as experience this trip even more. 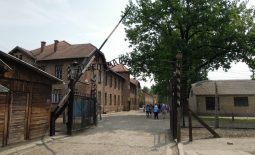 The borders of KL Auschwitz Museum include ruins and rebuilt post-camp constructions among which there are crematories and gas chambers, the unloading ramp through which prisoners arrived to the Concentration Camp and inner ways with camp enclosure. During the exploration there would be many moments that will make us scarred of torturers’ cruelty. We should remember to behave appropriately while in the museum – it is a monument of memory of all these people who died in the camp. Let us honor their memory with respect and silence. Every year Museum is a host to marches, processions and celebrations commemorating the ones killed in the camp. If we did not have an opportunity to go to Oświęcim it is worthy of planning such a trip – for sure it will not be joyful and exploring will not entertain us but without a doubt it is a place that deserves attention in order for people to never again repeat this sin of the past. While exploring the southern regions of Poland and Lesser Poland Voivodeship we should plan a trip to Auschwitz. What is worth visiting in Cracow?